The 8th Dental Implant Symposium and Live Surgery Demonstration Course combines both lecture and live surgical demonstration. 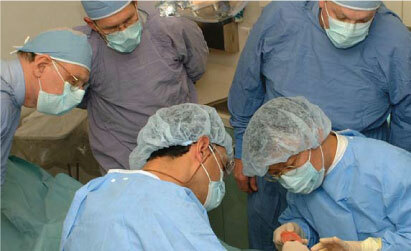 Each participant in the 2.5 day course will directly observe patient surgical and restorative procedures. In addition, detailed case reviews will be used to reinforce patient selection, treatment planning, step-wise procedures, and problem solving. Careful attention to individual questions will be assured for the live surgery demonstration portion by a low student/faculty ratio. Therefore attendance for the live surgeries is limited to the first 30 participants. This entry was posted by Dental Continuing Education on June 22, 2009 at 11:22 am under Implant Surgery. You can leave a response, or trackback from your own site. Follow any responses to this entry through the RSS 2.0 feed.